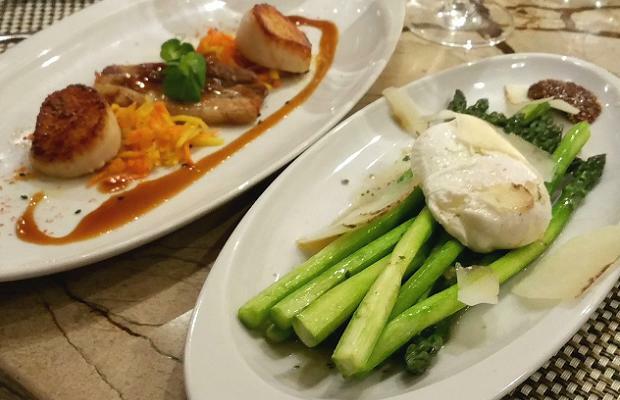 Treadwell Restaurant is a wine bar, an Ontario extrapolation on farm-to-table cuisine and an iconic Niagara experience. 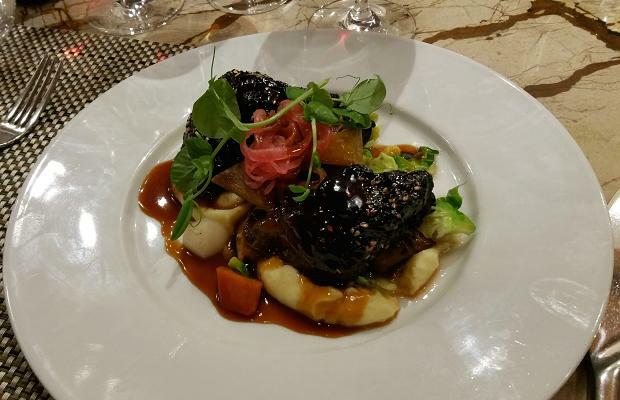 It opened its doors in Port Dalhousie in 2006, has always been ingredient based and has help to usher in a niche simply called “Niagara cuisine.” Now located (since March of 2013) right in the heart of Niagara-on-the-Lake, Treadwells must be experienced at least once. In June I had the fortune of visiting the restaurant twice. 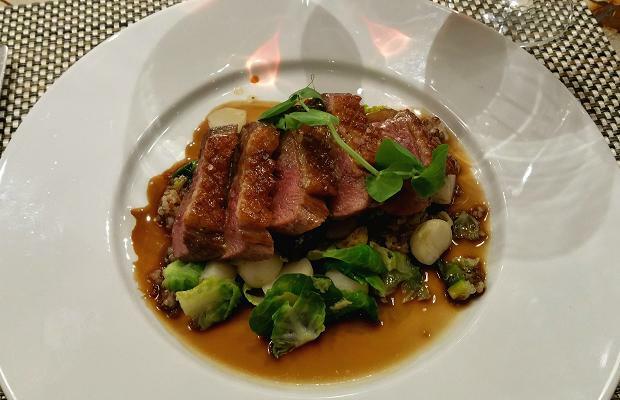 While Chef Stephen Treadwell‘s plates are the show, they are also the support and the reason for Sommelier James Treadwell‘s wine. 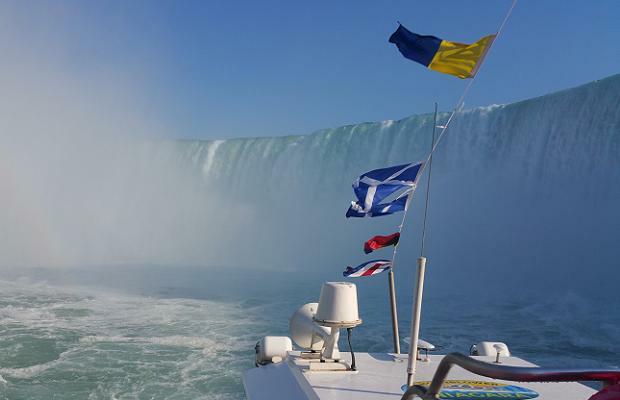 Ontario and more specifically Niagara are explored, above all else and righteously beyond the pale. I taste more Niagara wine than the average geek. At Treadwell there is no shortage of new discovery. 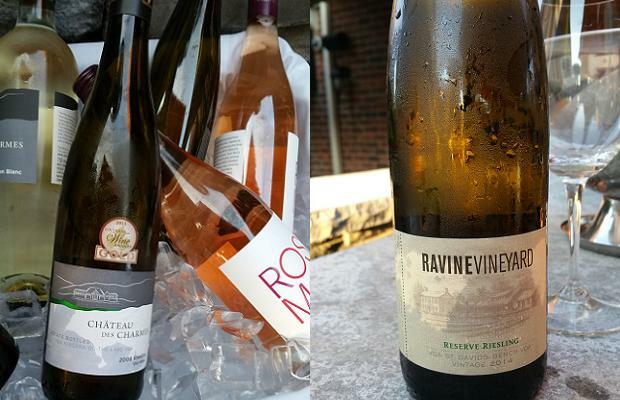 It’s a veritable playground for Ontario wine. The Chef de Cuisine is Matthew Payne. With chef’s eyes I watched him closely on my first visit. I wanted to climb over the counter, to contribute and execute for him, but did there was no reason to. His team was right on line. My visits to Treadwell were made possible by Magdalena Kaiser, Joanna Muratori and the presence of our provincial marketing treasure, Wine Country Ontario. I had the opportunity to sample more than 20 Niagara wines during the two visits. After judging day two at the WineAlign National Wine Awards of Canada (#NWAC15) the group was entertained at Treadwells and despite a power outage that put NOTL in the dark from 6:30 until nearly 10:00 pm, Stephen, James, Matthew and their incredible staff soldiered on and produced a most exceptional meal. Amazing. 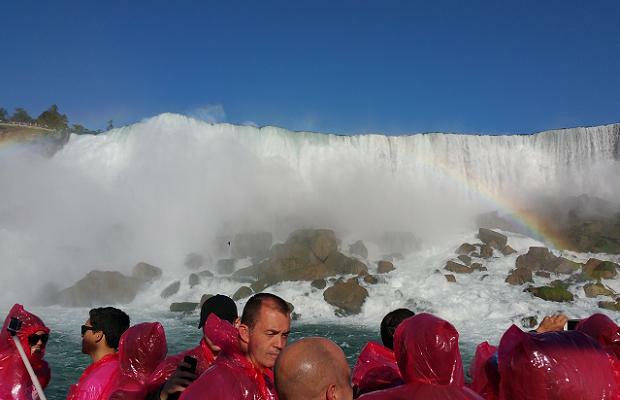 Before we made our way to Niagara-on-the-Lake team Rosé donned vermillion ponchos, climbed aboard the Hornblower run by Niagara Cruises and took the most famous of all Canadian boat excursions to the base of Niagara Falls. Then off to Treadwells. 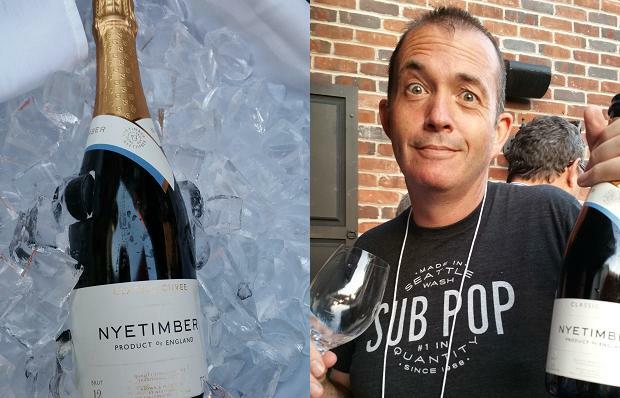 We tasted a few bubbles but they were all wines I have reviewed on previous occasions. The only note I wrote was for a bottle of Sussex fizz brought in by British wine writer Jamie Goode. Thank you Jamie for that treat and the portal into a new market to explore. The winemakers who joined us that night were Shiraz Mottiar (Malivoire), Jay Johnston (Flat Rock), Amelie Boury (Château Des Charmes), Ilya Senchuk (Leaning Post), Brent Anomyces (Associate winemaker at Pearl Morissette) and Martin Werner (Ravine). 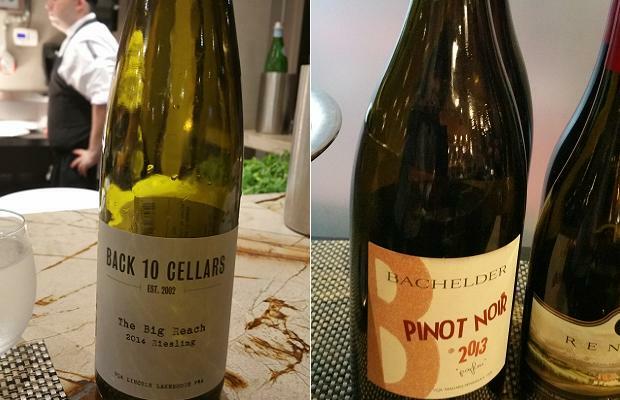 Here are notes on 14 of the wines tasted and assessed spread across the two visits. It may hail from the Foxcroft-Wismer-Twenty Mile Bench triangle of Grand Cru territory but this does not go where Rieslings have gone before. The vintage declares tyranny on typical, but it’s not exactly shocking. There is a controlled litheness to be sure, a lime road, an extraction that while not as expansive, is dense somehow. A Senchuk take on Wismer, colour upon colour, in abstraction, time after time. 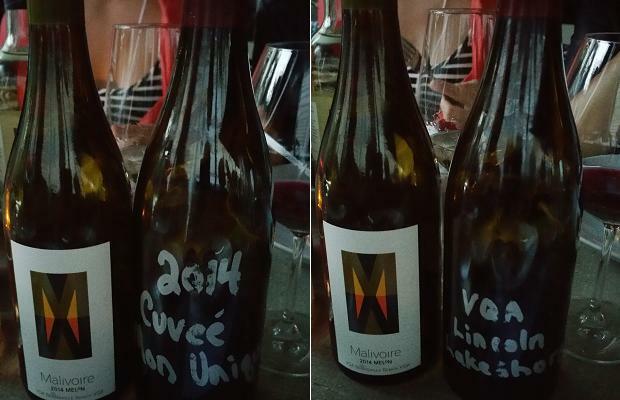 Marks a return to the variety for Senchuk, with a dynamic and resounding charge. This barely resembles what may be pigeon-holed as Niagara Peninsula Riesling as it disses the lean, citrus pierce of the dry norm. Don’t panic, it’s not that different, but it does comment on “homes, places we’ve grown, all of us are done for.” From 18 year-old (south block) Foxcroft vines, 15.8 grams of residual sugar and 11.3 grams acidity. Bottled just eight days ago, this is a wine that was “left to develop on its own,” on it lees and with no stirring. “It’s not late harvest, it’s mature, with just enough sugar to make it palatable.” Makes a cold play for warmth, extract, viscosity and natural sweetness. Reaches for complexity beyond acidity, to places old and new, to Germany and to Niagara. Gotta citrus back, endgame palate. I can’t say with certainty that in time this vintage will push the sweetness to the background and develop leathery, gamey and earthy characters. I can say that given some more experience, Senchuk will develop the acumen to make it happen. “There’s nothing here to run from ’cause here, everybody here’s got somebody to lean on.” 200 cases made. Has reached near-nirvana. The intensely focused withdrawal, the inward spiral to a fully condensed state is so very close. This is Pearl Morissette’s most shelf-talking Chardonnay, of lemon preserved, reversed, jammed into its own half shell, like a honey-tart sorbet, creamy, fleshed and inward. This is true wine of impression, a marvel in rewind. Tragically singular in expression, regardless and in spite of the terroir, mixes metaphors and pulls it off. “Takes arms against a sea of troubles,” by convincing ADHD fruit of an uncertain vintage to settle, play nice and “by opposing, end them.” Now entering the load out zone, this Hamlet cuvée is “the first to come and the last to leave, working for that minimum wage.” A sentimental ballad here to stay, be remembered and to set the stage for all dix-neuvième to come. This entry was posted in 20 Mile Bench, Bachelder Wines, Beamsville Bench, Canada, Creek Shores, England, Flat Rock Cellars, Food, LCBO, Leaning Post Wines, Lincoln Lakeshore, Malivoire Wine Company, Niagara, Niagara Escarpment, Niagara on the Lake, Ontario, Pearl Morissette, Sparkling Wine, St. David's Bench, Thomas Bachelder, Vinemount Ridge, VINTAGES, VINTAGES Releases, VQA, Wine Country Ontario, WineAlign, WineAlign National Wine Awards of Canada, Wines Tasted and tagged 2027 Cellars, Alcoholic Beverage Manufacturing, Amelie Boury, Back 10 Cellars, Beverage Manufacturing, Beverages, Big Head Wines, Brent Anomyces, Bruce Springsteen, Cabernet Franc, Cabernet Sauvignon, Chardonnay, Château des Charmes, Chenin Blanc, Chiltington, Coldplay, Culture and Lifestyle, Dr. Jamie Goode, Drinks and Beverages, Food and Beverage Sector, Food and Cooking, Food and Wine, Francois Morissette, Gamay, Gewürztraminer, Ilya Senchuk, Jackson Browne, James Treadwell, Jay Johnston, Kevin Panagapka, Martin Werner, Matthew Payne, Melon De Bourgogne, Merlot, Michael Godel, Niagara Cruises, Nyetimber, Paul Bosc, Paul Bosc Estate Vineyard, Paul Pender, Pinot Noir, Ravine Vineyard, Red Wine, Riesling, Shiraz Mottiar, Stephen Treadwell, Tasting Notes, Treadwell Cuisine, Vineyards and Winemakers, White Wine, Wine, Winemaking, Wismer Vineyard, Wismer-Foxcroft, Withnail and I.